It was a big day on the backfields today. The Reds and Indians faced off with the Double-A and Triple-A teams playing on the Reds side of things. For the Indians Triple-A team there was a guy named Francisco Lindor playing shortstop. He hit two home runs in the game. 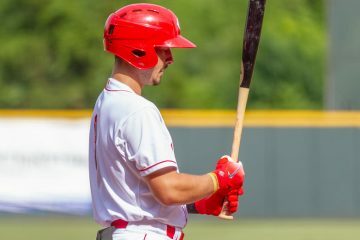 Some guy named Joey Votto was playing on both the Double-A and Triple-A fields, going back-and-forth, getting at-bats in each inning. He homered in the Triple-A game, and had several walks in the Double-A game, as well as at least one single. I was going back-and-forth between the fields and did not catch every at-bat he had. 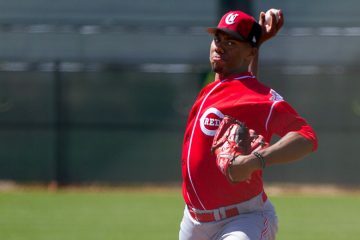 When it comes to actual minor leaguers, the biggest thing of the day was that Hunter Greene was throwing some live batting practice/simulated game kind of stuff. He was throwing to Bruce Yari and Mitch Nay. There wasn’t a radar gun around, but Greene wasn’t holding anything back. I only saw one “inning” of his session, but he was throwing the fastball and breaking ball. Starting in the Double-A game was just acquired right-handed pitcher Jordan Johnson. He was sitting 92-93 on the day and the fastball had some movement to it. The breaking ball looked better than the reports, at least when it was at it’s best. It was inconsistent on the day, though – a few of them weren’t as sharp as the others. Brian O’Grady spent about an hour and a half working with Barry Larkin on an otherwise empty field. They were working on his swing and O’Grady took hundreds of swings over the time. 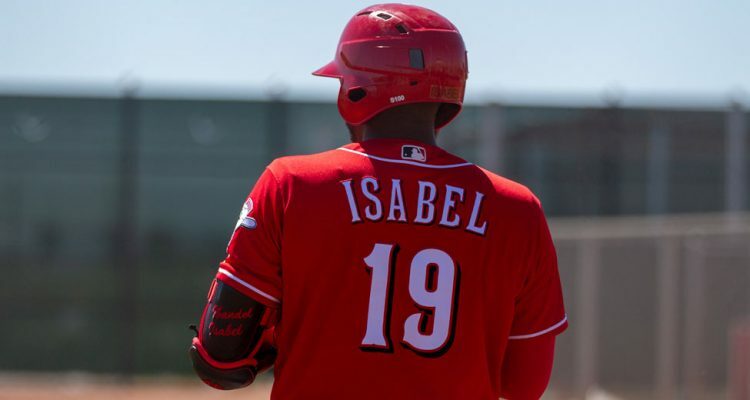 After five days of not seeing a single Reds player hit a home run in a game (there may have been some on the field that I just happened to not be watching – but I personally didn’t see any) Saturday saw several. Joey Votto went deep as noted above – unfortunately I did not have the video on that field at the time. Ibandel Isabel lined one out to left field that I did get video of, which you can see above. Nick Senzel took a hanging curveball and crushed it down the left field line for a home run on the Triple-A field. I also got video of that one. Taylor Sparks absolutely demolished a baseball out to left-center in the Triple-A game, but my video camera overheated the hitter before he came up, so there was no video of that one either. That’s it for now. I’ve got two full 12-hour days of driving ahead to get back to Cincinnati. Once I’m back home I’ll start to get up some more video from the trip. I’ve got stuff from plenty of pitchers to go through and get posted. 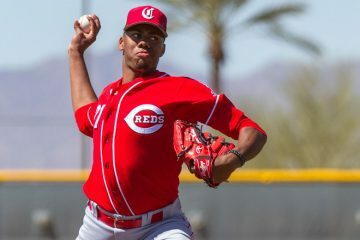 I didn’t realize Hunter Greene wasn’t pitching in live games. I thought that he was given the Greene light to go 100%. Does he start the year on a team or does he stay back in Arizona? I think they gave him the Hunter Orange. He is going 100%, but with his rehab plan he’s not going to be ready to begin the season on time. What is the building going up on the minor league campus, looks like a dormitory? I was hoping the Reds were getting smart in the same way as the Blue Jays. Circumstances for MiL players are abysmal.